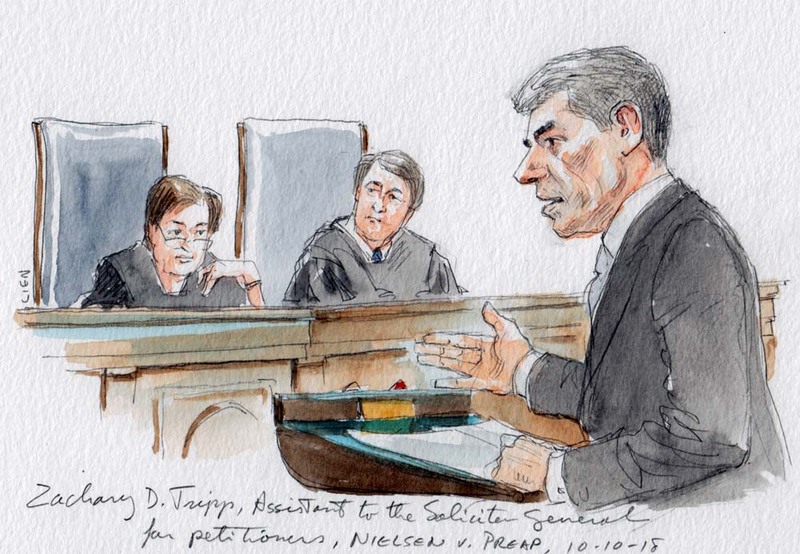 On Wednesday, the Supreme Court heard oral argument in the case of Nielsen v. Preap, which involves a challenge to the government’s interpretation of one of the Immigration and Nationality Act’s detention provisions: 8 U.S.C. § 1226(c). The relevant portion of 8 U.S.C. § 1226(c)(1) states that the secretary of the Department of Homeland Security “shall take into custody any alien who— [is inadmissible or deportable on certain specified statutory grounds], when the alien is released, without regard to whether the alien is released on parole, supervised release, or probation, and without regard to whether the alien may be arrested or imprisoned again for the same offense.” Mony Preap and a similarly situated class of immigrants challenged the government’s application of this mandatory detention provision to individuals whom Immigration and Customs Enforcement does not detain at the time they are released from criminal custody. Zachary Tripp, representing the government, argued that the “key provision” at issue in the case is 8 U.S.C. S 1226(c)(2), which deals with the circumstances under which an individual otherwise subject to mandatory detention under Section (c)(1) may be released. 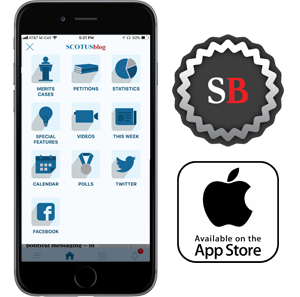 His attempt to frame the interpretation of the statute in this way was greeted with immediate skepticism from Justice Sonia Sotomayor, who asked him what meaning the government gave to the “when released” language of Section (c)(1). “So you don’t see any sense of urgency in your acting, no sense of encouraging you … in some way to actually do what the statute says?” she pressed. She noted that, at the time the statute was enacted, Congress also enacted a two-year transitional rule that would allow for a ramping-up period leading to the mandatory detention regime now in place. “Why did you need that two-year period if, in your view, you have absolute discretion … to pick up an alien whenever you want anyway”? Tripp responded that the government “understand[s] this to be a continuing and urgent obligation to arrest them right now,” but did not concede that the statute’s authorization of detention is tied to fulfilling that obligation. Sotomayor’s questions highlighted continuities between this case and Pereira v. Sessions last term. There, too, the statutory provision in question could be read to create congressionally required obligations on the government, imposed because of Congress’ frustration with the (then) Immigration and Naturalization Service’s inefficiencies in enforcing immigration law. In Pereira, the Supreme Court held that the government’s obligation was to serve a notice to appear that contained the date of appearance. In yesterday’s case, Preap argues that the congressionally mandated procedure is to apprehend individuals released from criminal custody immediately upon their release. In this case as in Pereira, the government’s argument attempts to reframe this obligation as a charge to do its best, while imposing on immigrants the full burden of the statutory scheme. Breyer noted the parade of “horribles” that are already occurring under the government’s interpretation. Immigrants who have been deeply reintegrated into their communities for many years are suddenly being taken into detention and detained without a hearing for very long periods of time. Breyer clearly signaled that an interpretation of the statute that allows for this raises serious constitutional questions. He also pushed back on the government’s analogy to criminal cases that hold that a missed bail-hearing date requires the government to hold a bail hearing, not to release a detained immigrant immediately. In this case, Breyer pointed out, the government’s missed deadline results in the indefinite detention of immigrants without a hearing — it does not have the same legal effect as in the bail cases. In fact, Preap’s reading of the statute is the one that results in a hearing. Breyer noted that the government’s interpretation of the statute is not necessary to prevent “the baddies” from wreaking harm in the community or missing their court dates because individuals not detained “when released” under Section 1226(c)(1) can still be detained if that is found to be appropriate after a hearing under Section 1226(a). Justice Samuel Alito’s questions indicated the same sympathy with the government’s claim as he manifested in his dissenting opinion in Pereira. As in that case, Alito suggested with his questions that Congress’ view in 1996 was that “[i]f you’re an alien, you come here, you commit one of these crimes, you’ve effectively forfeited whatever right you have to remain at large in the community.” His questions, along with his past decisions, made clear that Alito does not feel there is a constitutional liberty interest at stake that would raise concerns about the government’s interpretation of the statute. 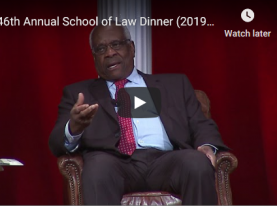 It is safe to conclude that the silent Justice Clarence Thomas shares this view of the case, based on Thomas’ past votes in cases raising similar issues. Justice Brett Kavanaugh’s questioning also telegraphed clear support for the government’s position. He hypothesized that Congress knew that immediate detention would be impossible in many cases, “and yet Congress did not put a time limit,” which “raises a real question … whether we should be superimposing a time limit into the statute when Congress, at least as I read it, did not itself do so.” In characterizing Congress’s intent in passing the 1996 laws, he stated that “what was really going through Congress’s [mind] in 1996 was harshness on this topic.” In a colloquy with Kavanaugh, Wang attempted to show that the statute does indeed have a time frame imposed by Congress – detention immediately upon release – arguing that “‘when’ meant what ‘when’ means in the common sense.” But Kavanaugh did not appear convinced. Nor was he convinced that discretionary detention with a bond hearing was sufficient for the class of immigrants whose offenses are enumerated in Section (c)(1), because “Congress was concerned that those hearings were not working the way that Congress wanted.” Wang conceded that was true, but only for the class of individuals identified in (c)(1); she emphasized that Preap’s whole argument is that he falls outside of that category. Although retired Justice Anthony Kennedy voted against the government in Pereira and might therefore have been expected to do the same here, his replacement by Kavanaugh may not determine the outcome in this case. Both Chief Justice John Roberts and Justice Neil Gorsuch also came down on the side of the immigrant in Pereira. It is not yet clear where those two justices stand on this case. 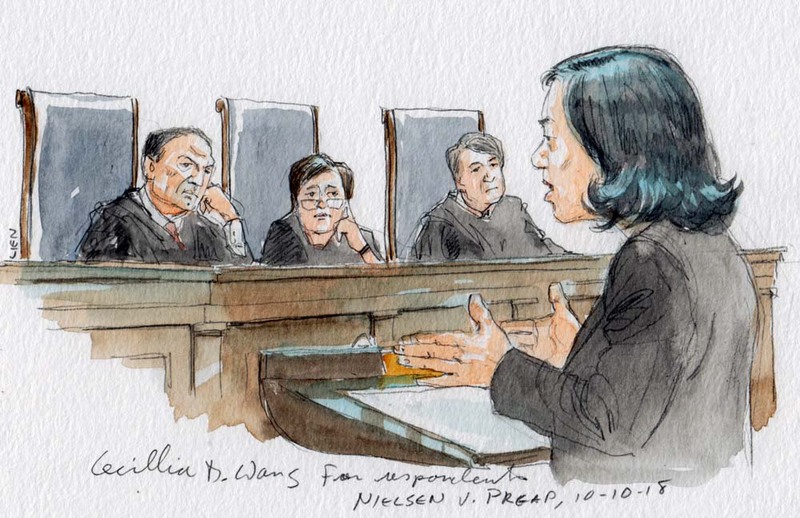 But an entertaining exchange between Gorsuch and Wang about grammar (in which Wang won kudos from the justice) suggested that Gorsuch has at least some sympathy for Preap’s statutory construction argument, even if he is not yet completely convinced. 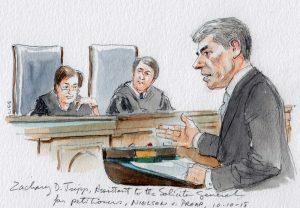 And when Gorsuch pressed Tripp on whether there were “any limits on the government’s power” under the government’s reading of the statute, it was reminiscent of the concerns about government overreach that Gorsuch signaled last term in Sessions v. Dimaya, in which he also came down in favor of the immigrant. Roberts searched for guidance from Wang about whether “when released” should be interpreted to mean “within a reasonable degree of immediacy” after release or within a “reasonable time,” to which Wang replied that it should be interpreted to mean a reasonable time, regardless of the nature of the government’s efforts. She pointed to precedent from the Board of Immigration Appeals indicating that 48 hours would be too long and advocated that the appropriate time frame would be within a day of release. Roberts’ questions suggest that he may believe that the mandatory detention provision is more limited in scope than the government’s argument suggests and that he is searching for the appropriate temporal limit to the mandatory detention requirement of Section (c)(1) in cases like Preap’s.